Coming Soon: A new Unified User Experience (UUX) across desktop, phone and tablet. Get the latest updates as we rollout our new digital banking experience. An update is now available for the HUECU Mobile Apps. The upgrade will bring the enhanced design and usability of the Unified User Experience (UUX) platform to your mobile device. Along with the mobile app improvements, we have started to upgrade our desktop online banking systems behind the scenes. This is the first step in bringing the UUX upgrade to online banking. 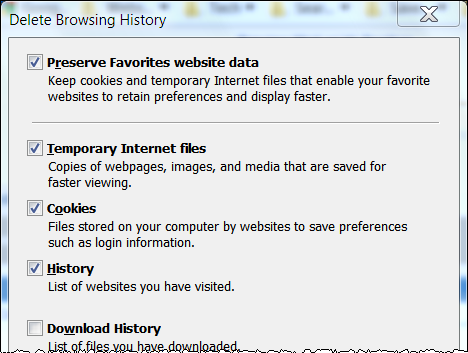 In Internet Explorer, go to the ‘Settings’ menu. In IE 10, this can be accessed via the Gear icon in the upper right hand corner. 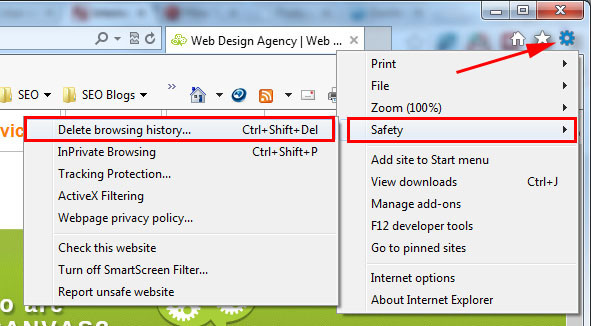 Choose the ‘Safety’ menu and then select the ‘Delete browsing history’ option. In the pop-up window, select the first 4 checkboxes, although selecting all the checkboxes is recommended. Next, click ‘Delete’ at the bottom of the window. Finally, you must close Internet Explorer and re-open for the the selections to take effect. If you run into any issues with the new platforms, please do not hesitate to contact us. Update 6/17: Mobile App Updates are Coming! The HUECU Mobile Apps will be updated to the new UUX platform on Tuesday, June 23rd. Existing users will be prompted to upgrade their app at this time. You will not need to re-enroll or update your login credentials. The Credit Union is always working on new ways to provide quick and easy access to its financial tools anywhere members need them. 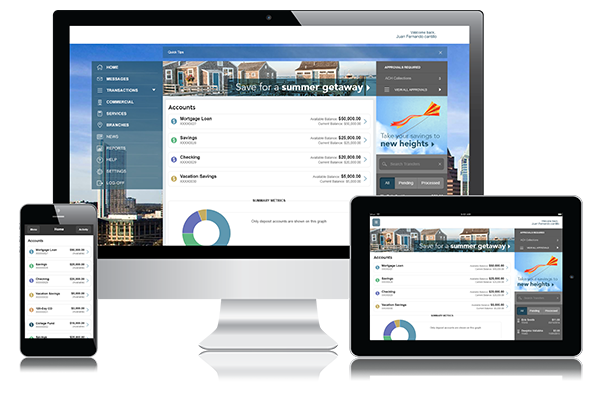 HUECU is giving a facelift to our digital banking options with the rollout of our new Unified User Experience, or UUX, apps. The new look, feel and core functions of the UUX apps will be the same on iPhones and iPads, while also making the best use of each device’s screen size. Online banking will also be upgraded to provide a consistent and streamlined experience wherever you’re accessing the Credit Union. There is no need to re-enroll and your login credentials will not change. However, in order to enhance your security and protection, we will no longer be accepting an email address to receive your Secure Access Codes with the upgrade to our UUX platform. Please login to Online Banking and update your phone number that is used for secure delivery of your access codes. We highly recommend that you enter a mobile phone number and setup the text message (SMS) option as well. In the left-side menu, click on My Security below User Options. 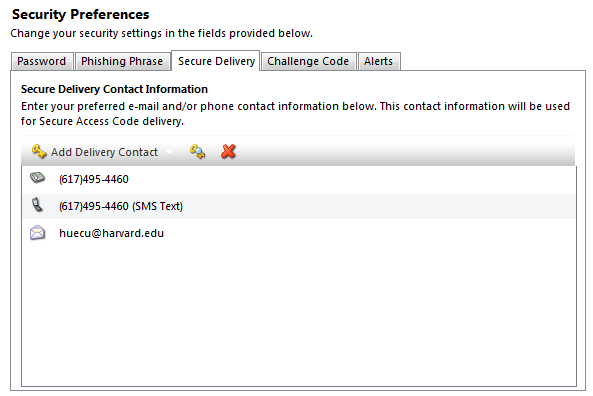 Once on the Security Preferences screen, click on the Secure Delivery tab within the middle of the page. From here, you can add/edit your delivery options for receiving your secure access code. If you don’t already have an SMS Text option, you can add that now by clicking on the first icon and following the on-screen directions. To update your existing options, either double click on the item or click the middle key option while the contact is selected. Note: If you have previously set up your email address as a secure delivery option, you will continue to see it on this screen until the upgrade to UUX is complete.